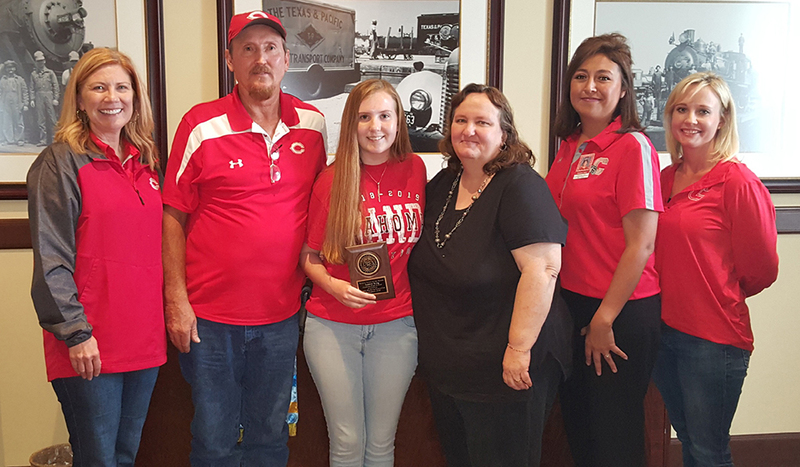 Congratulations to Andrea King, a Coahoma High School student, who was named the Big Spring Greater Rotary Club's October Student of the Month today. Pictured above is CISD Superintendent Dr. Amy Jacobs, left; Lanny, Andrea, and Dornell King; CHS Principal Christina Cox; and CHS guidance counselor Chandra Brooks. Andrea was treated to lunch by the Rotary Club at the historic Hotel Settles.